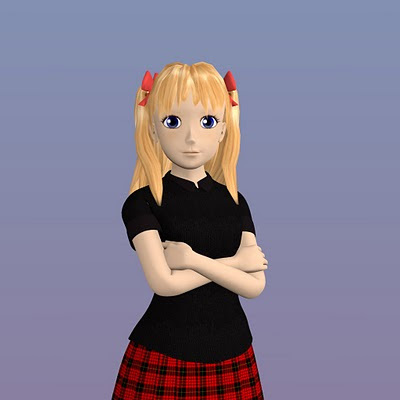 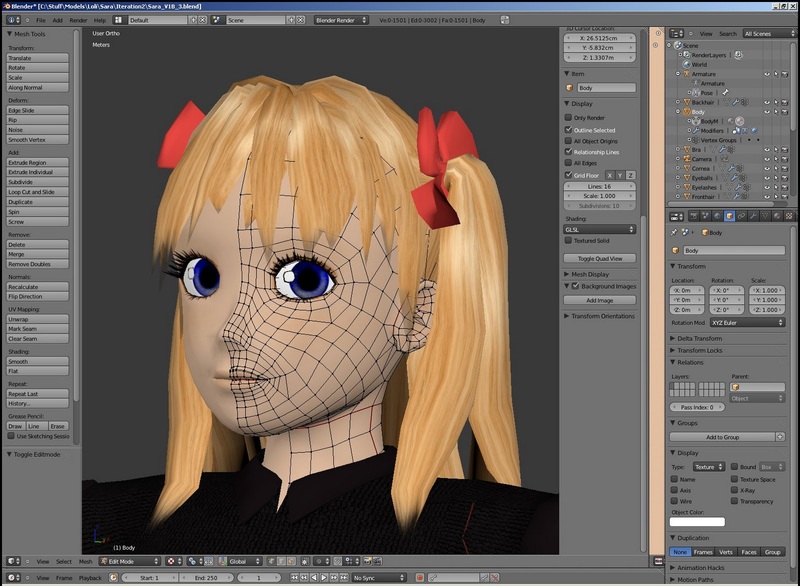 Also Sara-chan (included as demo model) got a little update - better face topology, cuter and more realistic mouth and thicker hair. Included model has IK chains and constraints, so it can be used as a reference, how to set up these for other figures. Until I'll get time to write tutorial about it.